How Long Will The TRUE M50 Last? Despite the lack of additional convenience features, the M50 is still a decent treadmill that has been built with True’s sturdy design. The metal coverings are likely to withstand more use than the M30’s plastic coverings, but the M50 overall is more than likely not going to function any better. A heavy jogger or light runner is likely to see a good amount of use out of this treadmill. As always, we like to stress the importance that your treadmill's environment has on its lifespan. We all have that tattered tube of Chapstick that has been rolled under the car, dropped between the seat, and melted at least ten times. Let's face it, the flavor, smell, and texture are not as good as when you bought it and the cap is harder to get off now that it has been bent on. Similarly, if you place your treadmill in a room that is not temperature controlled, constantly leave it on, and never clean it, then you will likely be replacing the treadmill in a few years. If you are going to spend this much money on a treadmill, please be sure to take care of your investment in order to get the most out of your money. True has attempted to make an in-between model with the M50. Though this treadmill has some of the better qualities that are common in True treadmills like metal stand covers and a good build we do not think that it has the most value for the price. Consequently, we have placed the True M50 in the Runner-Up spot among our $2,000 to When you look at the M30’s specifications (True’s cheaper model) as they compare to the M50’s, they are exactly the same. Then when you compare the actual treadmills, you can see that the straddle covers (where you stand when not on the belt), are made of metal instead of plastic. While this does help to increase the M50’s durability, the slight quality addition does not, in our eyes, justify the price jump. Furthermore, True kept the exact same warranty as the M30; with roughly a six-hundred-dollar difference, you would think True would up the warranty by even one year for the labor. Thus, one can view the M50 as True’s in-between model that is not different enough to justify the price. One may be better off with True’s M30 or True’s Performance 300. With that said, the True M50 does still shine largely because of the company that produces it. The M50 has the well-known sturdy build with quality parts. This is a solid frame treadmill which tends to be more durable. As always, purchasing a True treadmill also means receiving the backing of a reputable company known for its service abilities and customer care. There are a few things to keep in mind. Some of the reasons why we put the M50 below other treadmills in this price range is because of its nearly stripped-down features. The M50 does not come with more incline or workout programs. Also, if you are used to a folding treadmill, you may be accustomed to a wider walking belt. True is known for their compact design which translates into a four-inch smaller belt than belts found on upper-end folding treadmills. While you do receive a quality treadmill with a solid build, the luxuries that you may be used to with the more common brand models are not as present in the M50. $2,999 dollar Best Buys of 2019. When you look at the M30’s specifications (True’s cheaper model) as they compare to the M50’s, they are exactly the same. Then when you compare the actual treadmills, you can see that the straddle covers (where you stand when not on the belt), are made of metal instead of plastic. While this does help to increase the M50’s durability, the slight quality addition does not, in our eyes, justify the price jump. Furthermore, True kept the exact same warranty as the M30; with roughly a six-hundred-dollar difference, you would think True would up the warranty by even one year for the labor. Thus, one can view the M50 as True’s in-between model that is not different enough to justify the price. One may be better off with True’s M30 or True’s Performance 300. With that said, the True M50 does still shine largely because of the company that produces it. The M50 has the well-known sturdy build with quality parts. This is a solid frame treadmill which tends to be more durable. 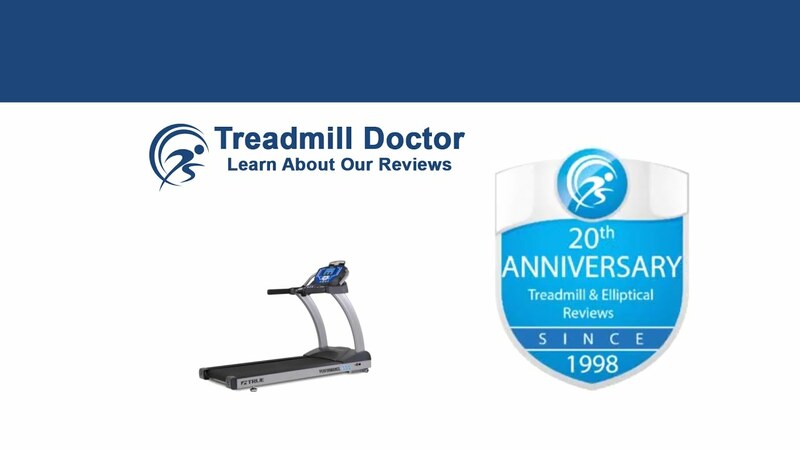 As always, purchasing a True treadmill also means receiving the backing of a reputable company known for its service abilities and customer care. There are a few things to keep in mind. Some of the reasons why we put the M50 below other treadmills in this price range is because of its nearly stripped-down features. The M50 does not come with more incline or workout programs. Also, if you are used to a folding treadmill, you may be accustomed to a wider walking belt. True is known for their compact design which translates into a four-inch smaller belt than belts found on upper-end folding treadmills. While you do receive a quality treadmill with a solid build, the luxuries that you may be used to with the more common brand models are not as present in the M50. Over the years, we have regarded the True M50 as a treadmill with a number of cut corners. For the price, we have recommended opting for a NordicTrack that is more than likely to have more value for the money. Though we do think the M50 is a decent treadmill, we have found better treadmills for the same price. Though we do recognize the M50’s quality and sturdy build, we have named it Runner-Up among the $2,000 to $2,999 dollar Best Buys for 2019. Simply put, True has created the M50 to be an in-between model but have not put in enough features to justify the price tag. While one does receive the customer service and durability, there are treadmills in this price range that have more value put in them for the same amount of money. If you do choose the M50, though, you can expect this treadmill to withstand light-moderate use on a weekly basis.